Beautiful Boy is based on the memories of father and son pair David and Nic Sheff, who chronicled their journeys of trying to survive together through one of the toughest periods of their lives - Nic's crystal meth addiction. The untenable cycle to break free goes: recovery, relapse, repeat. Steve Carell portrays David, opposite Timothée Chalamet’s Nic. Chalamet may be too likeable to be playing a meth addict but it's precisely that characteristic that makes him a perfect fit to depict Nic's dark detour. Director Felix Van Groeningen guides the two leads in this drama, which heavily relies on their strengths, and both actors are completely brilliant. They’re largely responsible for the value of the film when Van Groeningen can’t quite make a movie that matches their extraordinary feats. The biographical story is depicted thorough flashbacks to Nic’s childhood, innocent and carefree as any youth could be, and a current day timeline tracking the college-aged Nic spiraling out-of-control and subsequently yo-yoing in the road to recovery. 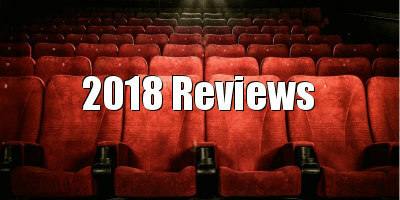 The director employs a fractured structure to the narrative - non-chronological timeline of events that even cut between past and present within themselves - that is quite detrimental to the pacing and the characters, but perhaps it works in paralleling the chaotic, back-and-forth nature of Nic's life on drugs, repeatedly stopping and starting, and the same for David's life, which has to be halted multiple times to help his son. 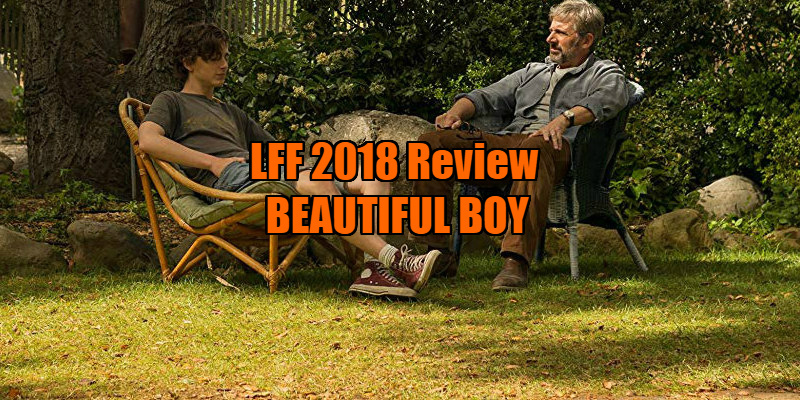 With the soundtrack accompanying virtually every scene, Beautiful Boy is imbued with a love for music, as evident in the title, sourced from a John Lennon song. Classical music, classic rock and Hans Zimmer-esque blaring horns underscore the harrowing plight, operating dually as mood melodies for the film and for the world within the film. Initially, Beautiful Boy is too subdued in its depiction of drug addiction. The first half cuts corners in presenting David and Nic together before Nic’s entanglement in hard drugs and showing them interacting once he’s seeking treatment. Combined with an opening scene where David visits the New York Times Magazine to ask to write about “My Addicted Son” (the original article written before the publication of his memoir), we’re expected to be fully invested in this relationship from the get-go. It’s hardly the easiest thing to entrance your audience into caring for a drug addict and his family without knowing the details - one may question, for example, what if the son has made truly bad decisions and isn’t worthy of our sympathy? What if there’s a link between the parenting and the drug use? That’s when the flashbacks are most effective; David has always been a loving father and they’ve always been close. The parents are separated and a young Nic is visibly upset when he must leave his father to see his mother. By the second half, Van Groeningen has lulled us into the rhythm of his storytelling. We finally understand the characters to a sufficient extent, though another filmmaker may have been able to establish this more efficiently, for a more engaging film. By the second half, the strong bond between the central characters is not only contextualised through the flashbacks but they also work in creating an ultimately well-rounded portrait of addiction - it can happen to anyone, even someone who looks like Timothée Chalamet. Carell and Chalamet are thoroughly excellent in creating the central relationship with a chemistry so affable that it becomes genuinely heartbreaking when they argue. Believable emotional displays, both strong and subtle, make it easy to sympathise and empathise with them, leading to a truly gut-punching finale. The same filmmaker of The Broken Circle Breakdown could have taken a page out of that excellent film (which also depicts a deteriorating relationship) for this feature - namely, to keep things structurally straightforward. Beautiful Boy may not be the most successful film on a narrative level, but the performances are so incredible that I recommend it. 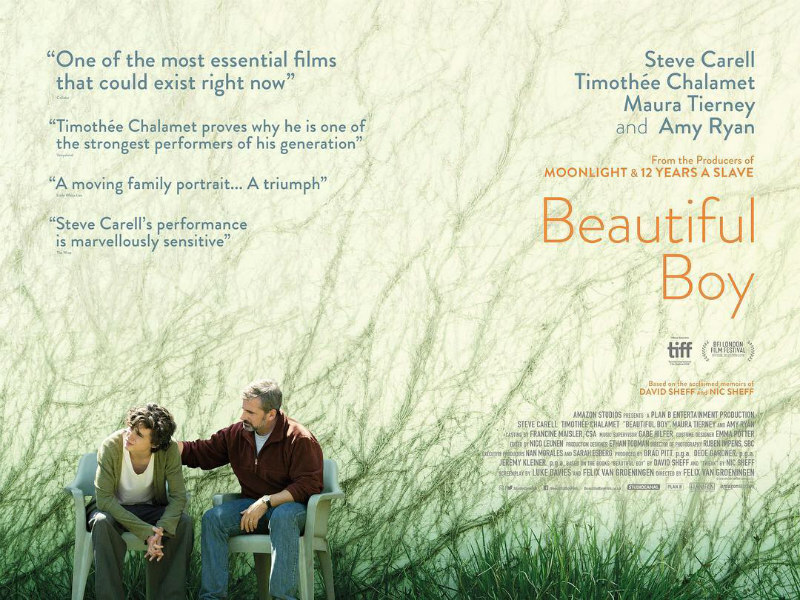 Beautiful Boy is in UK/ROI cinemas January 18th, 2019.